A team waits, ready to give each animal its first checkup as quickly as possible, because the longer a calf is away from its mother, the more stressed it becomes. A veterinary technician fills syringes with vaccinations against a host of deadly illnesses, like bovine respiratory disease. A seasoned cattleman wields a hot iron; branding a calf a brand helps prevent the the calf from being stolen. 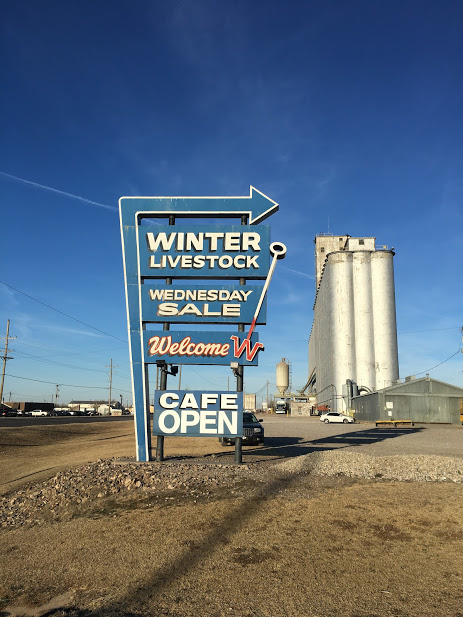 Harvest Public Media's Esther Honig spent time with a large-animal veterinarian in rural Colorado. “They’ll be a little sore, but they’re going to be back with mom and nursing in 20 minutes and they’ll be fine,” she said. Large-animal veterinarians like Chandler inspect livestock before they can legally be sold for slaughter. If an illness spreads among a herd or flock, it’s Chandler’s responsibility to diagnose them and report it to public health officials. And early-detection is key to preventing devastating outbreaks, like the 2015 bird flu in the Midwest that led to the deaths of 50 million turkeys and chickens. But there’s been a shortage of large-animal vets in rural areas since 2003 due to a combination, experts say, of low wages, long hours and fewer new graduates wanting to live outside of a major city. Without vets, farmers and the nation’s food supply are more vulnerable to those disease outbreaks. 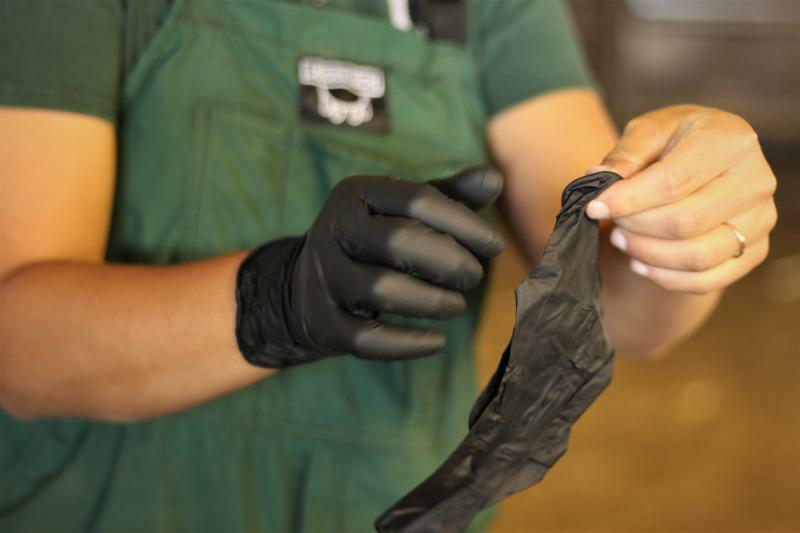 It also could mean sick and infected animals will increasingly go untested, said Mark Stetter, the dean of the College of Veterinary Medicine at Colorado State University. “When we think about diseases that are foreign, that don’t exist within the United States, things like foot and mouth disease, or a list of other diseases that could really devastate our livestock industry … veterinarians perform that first line of defense,” he said. 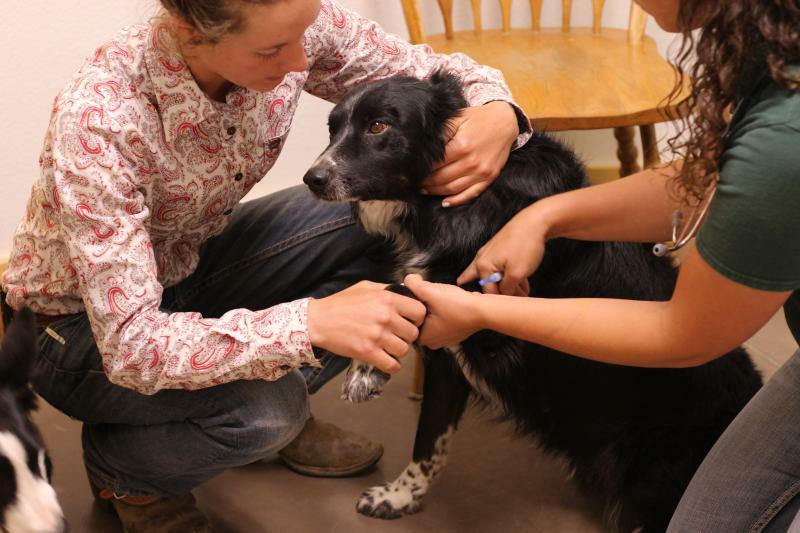 In 2017, the U.S Department of Agriculture identified 187 mostly rural areas (including eight Colorado counties) that lack sufficient access to a veterinarian. Stetter said the scarcity of rural vets looks nearly identical to the country’s shortage of rural doctors. For one, rural wages haven’t kept up with rising student debt. According to the Bureau of Labor Statistics, veterinarians in rural areas earn between $61,470 and $73,540 a year — roughly half of what they could make in a city. And the vet-school loans are hefty: an average of $143,757, according to the American Association of Veterinary Medicine. The shortage isn’t due to lack of interest, Stetter said. 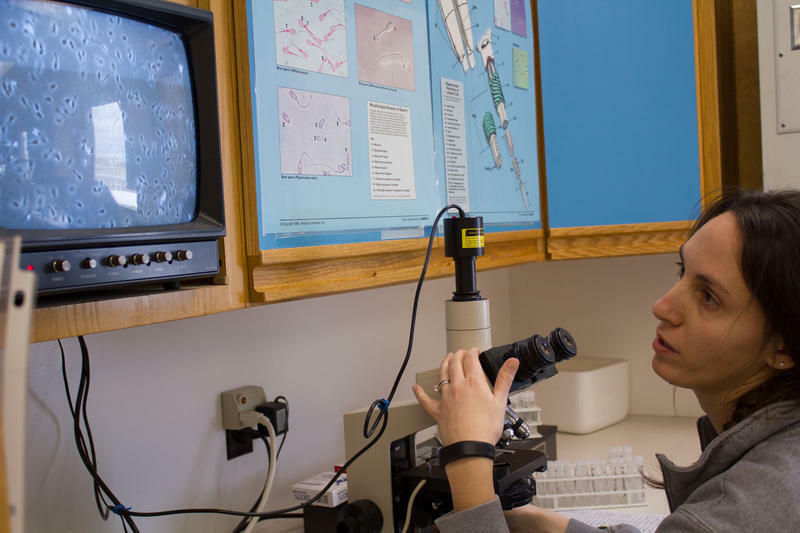 His department recently did a survey that showed 30 percent of students said at the beginning of the program they want to work in rural areas as food animal veterinarians. Once graduation rolls around, the number dropped, as fewer than 10 percent actually take a rural job. There are sacrifices, big and small. Chandler, who grew up in Orlando, Florida, misses the selection of restaurants at her disposal, especially her favorite, Italian. There’s also the long days and odd hours that can burn an early-career veterinarian out. “Horses colic in the middle of the night. 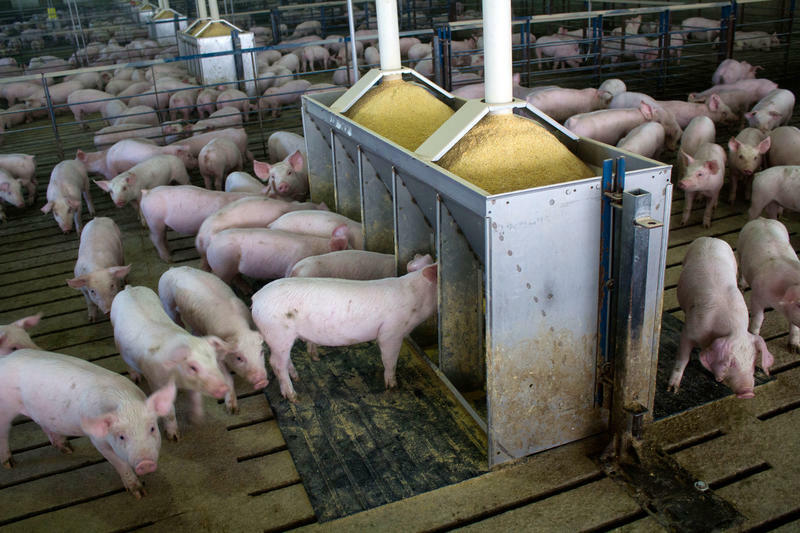 Pigs get born at 6 a.m. and you can’t get your kids to school on time," Chandler said. She said she may not have a nice car, but at least she gets to work with cattle. Her white pickup doubles as her mobile clinic. She’ll travel up to 90 miles away (sometimes farther) to answer housecalls for clients, like Kim Davis who drives hundreds of cattle across remote corners of the state’s eastern plains. Davis can handle the less serious medical issues, but she said when something’s outside her scope — a heifer needs an emergency C-section or a horse has a broken leg — it’s vital a vet arrives within the hour. “And then if you do find them they’re usually so busy, and they’re four hours away,” she said. “We’ve got drugs on hand for everything so (Chandler) can trust us and say, ‘OK, this is what it is and this is what you need to treat it with,’” Davis said. She feels a strong sense of stewardship towards the welfare of animals and to society as a whole. For example, when she’s inspecting cattle before they can be sold for slaughter and made into lunch meat. If the answer is “no,” Chandler won’t let that cow leave the sale ring. 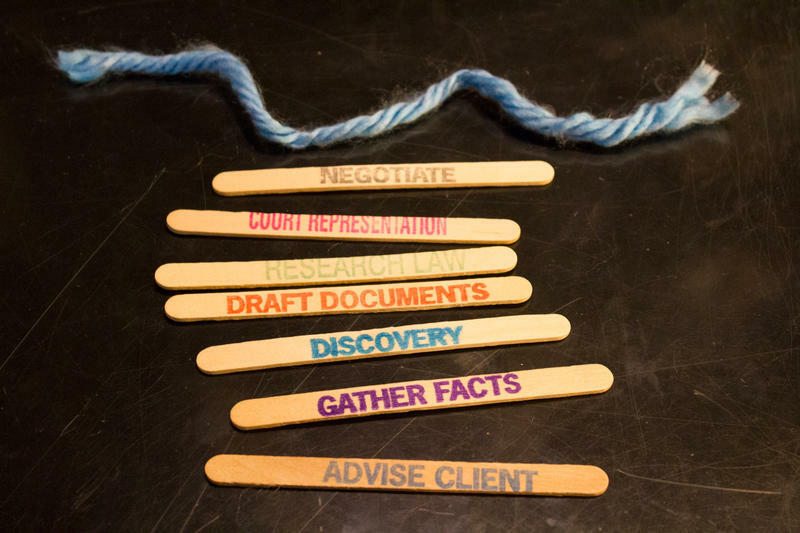 At The Law Shop in Van Meter, attorney Amy Skogerson untied a piece of blue yarn from around a bunch of craft sticks.